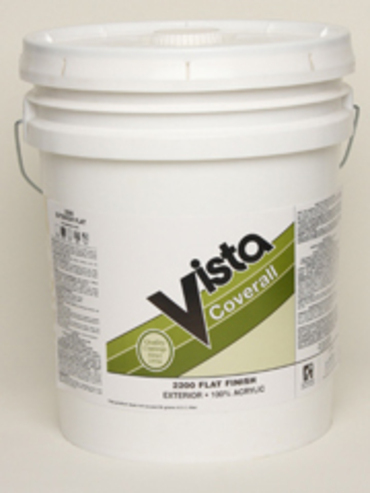 2200 Coverall Exterior Flat is a 100% acrylic for application on exterior tilt-up and masonry substrates. This product offers excellent alkaline resistance with a matte flat finish. It can also be used for wood siding and trim. Recommended Uses: Tilt-ups, stucco, masonry, cmu and repaint of wood siding and trim.